PREAMBLE: Being aware that a physician’s religious and moral principles are the source of his ethical behavior, this Association adopts the following statement of principles of professional conduct. The principal objective of the ethical physician in his practice is to treat human illness while maintaining the highest respect for the dignity of his patient. (1) The physician’s first professional obligation is to his patient, then to his profession. His ethical obligation to his community is the same as that of any other citizen. (2) The physician should conduct himself at all times with dignity, integrity, honesty and diligence in the practice of his profession so that he will engender the confidence of his patients and respect of his colleagues. (3) The physician should not condone the taking of human life in the practice of his profession, but at all times respect the sanctity of human life and seek to preserve or improve the quality of life. (4) The physician should not dispose of his services under terms or conditions which tend to interfere with or impair the free and complete exercise of his medical judgment and skill or tend to cause a deterioration of the quality of medical care. (5) The physician may choose whom he will treat, but having undertaken the care of a patient, he should not discontinue his care without adequate notice. (6) The physician should limit the source of his professional income to medical services actually rendered by him, or under his supervision, to his patients. He should neither pay nor receive a commission for referral of patients. The value of professional services should be determined only by mutual agreement between the physician and patient, and in no other way. (7) The physician should personally counsel another practitioner who behaves incompetently or unethically and report persistence of that conduct to the proper authority. (8) The physician should seek advice and consultation with ethical colleagues whenever the quality of medical care may be enhanced or whenever consultation is requested by the patient. (9) The special importance of the patient’s privacy in medical matters requires that the physician never reveal either the confidence entrusted to him in the course of medical attendance, or deficiencies he may observe in the character of the patient, releasing information only with the consent of the patient and with due consideration of the mandates of law. (10) The physician should constantly seek factual and reliable information that will assist him in the treatment of illness. 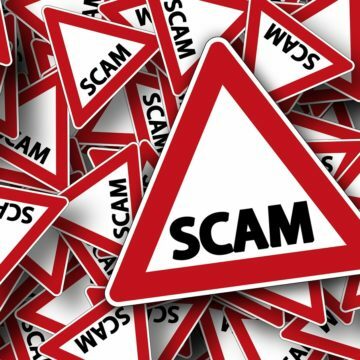 (11) The physician should not solicit patients. Professional reputation is the major source of patient referral. The physician should be circumspect and restrained in dealing with the communication media, always avoiding self-aggrandizement. 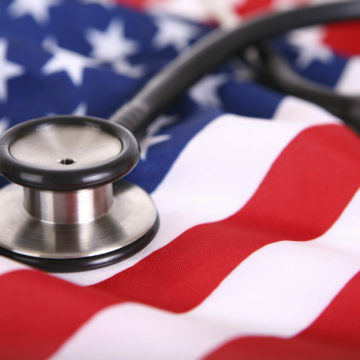 [Contrary to section 1801* of the Medicare law (Public Law 89-97, 1965), recent legislation forces physicians to perform acts that were formerly voluntary, if they wish to treat Medicare recipients. Given the reality of governmental compulsion, physicians protest duress per minus. To participate means to be a party to in a greater or lesser degree; conversely, Non-Participation means to refrain from being a party to in any degree whatever. Although we may be forced to obey any specific legal edict, as moral and ethical individuals we cannot, in good conscience, be a party to any voluntary act that violates our moral and ethical beliefs. The Social Security Amendments of 1965 do not create any mandatory obligation on anyone beyond the payment of certain stipulated taxes. Inasmuch as this law has been duly enacted, we cannot avoid the payment of these taxes. However, the other provisions of the Social Security Amendments of 1965, as they relate to physicians, are all a matter of voluntary decision. The decision as to whether or not to participate is a matter of individual choice. Certain coercive factors may influence the decision to participate but no such factors are intended in the advocacy of Non-Participation. 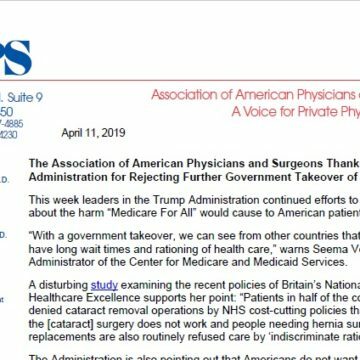 The Association of American Physicians and Surgeons recommends a policy of Non-Participation to all physicians as the only legal, moral, and ethical means of concretely expressing their complete disapproval of the spirit and philosophy behind these amendments. The opinion of competent legal authority assures us that Non-Participation is legal. It is our belief that anything that is morally right is ethical. It is further our belief that any measures that tend to lower the standards of medical care are evil and anything that is evil is unethical and immoral. Experience in every area of the world where it has been tried has demonstrated that governmental assumption of the responsibility for medical care (socialized medicine) for the general population (as opposed to members of the armed forces and former members with service-connected disabilities, to whom there is an extraordinary and recognizable obligation) has resulted in deterioration of the quality of medical care thus creating an effect opposite to the alleged and stated intent of the amendments. Thus the effect of the law is evil and participation in carrying out its provisions is, in our opinion, immoral. 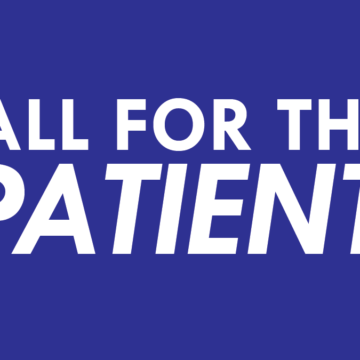 Emphasize to their patients that there is no intention of preventing any patient from receiving needed medical care but that such care must be rendered under conditions that are acceptable to both patient and physician. 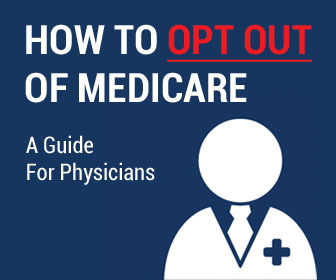 Clearly and emphatically explain to their patients that the policy of Non-Participation is in the best, long-range interest of patients, physicians, and good medical care. Adopted by the Assembly, 47th Annual Meeting, Scottsdale, Arizona, 1990. To seek redress through the courts, including a jury trial, in the event of injuries resulting from negligence.